Our real estate agency is based in Francavilla Fontana, a large and impressive town located in the heart of Puglia region of Southern Italy, halfway between Brindisi and Taranto, and halfway between the Ionian Sea and the Adriatic Sea. 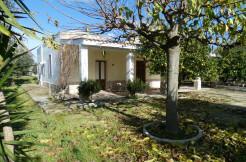 Our estate agency is registered at the Chamber of Commerce of Brindisi and is part of FIMAA (italian federation of estate agents), and is specialized in residential and rural properties for sale in Puglia (habitable and for restoration), including sea properties, trulli, masserie, country houses, villas, historical town houses/apartments. We provide a comprehensive package of services, (please, take a look at the “Services Page”), for both property buyers and property owners. We are at your hand from your initial enquiry to the completion of the purchase, promptly dealing with any questions you might have about the sale. We also offer post-sales services, including arranging renovation and building works, and providing regular updates on the work etc.. We can introduce clients to a host of specialists dealing with the properties: builders, engineers, architects, garden maintenance workers, etc. Your satisfaction is very important to us. Our purpose is to help you to plain your purchase and make you feel safe when buying/selling a property in Puglia. Whom do we (or an estate agent in general) work for? The estate agent in Italy in general, as The Italian Civil Code (art. 1754) states, doesn’t work for a party in particular, and its own activity materializes in getting in touch two or more parties for the conclusion of a deal. Basically, an estate agent has to be neutral throughout the negotiation to the completion of the purchase.